More worrying by far was our finding that the police had increasingly taken on the work of lynch mobs. Most troubling of all, we found in all these local communities a profound and pervasive absence of compassion. 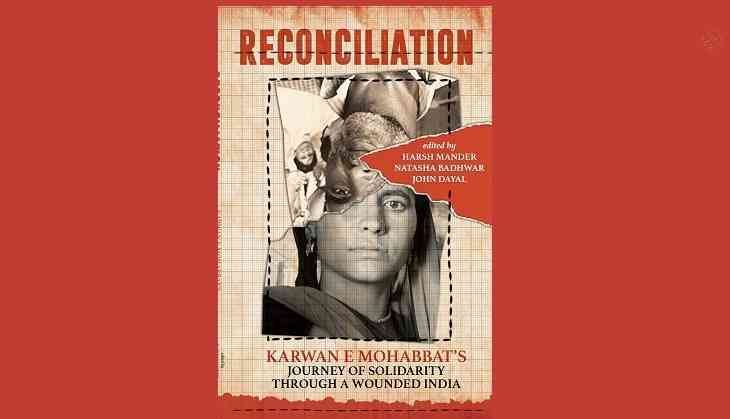 The following is an excerpt from the introduction to Reconciliation: Karwan e Mohabbat's Journey of Solidarity Through A Wounded India, edited by Harsh Mander. Natasha Badhwar and John Dayal. It has been published by Context, an imprint of Westland Publications. In the autumn of 2017, the Karwan e Mohabbat, Caravan of Love, undertook its first journey of atonement, solidarity, healing, conscience and justice with people who had been targets of hate attacks across our wounded land. It was a small, audacious effort to offer a garland of empathy across many parts of India—a tiny lamp lit amidst a tempest of hate. The purpose of this voyage in these times of gathering darkness across those parts of India most severely ravaged by lynching was twofold: to respond with solidarity to the everyday fear that has settled in the hearts of Muslims, Dalits and Christians, and to challenge and break the worrying silence of the majority with a call to conscience. The Karwan, a broad-based, collaborative civil society initiative of independent individuals, people’s organisations and social movements, visited the families of those who had lost loved ones to lynching, to attacks on Dalits, targeted shootings by police, and violence on women branded as witches. Our journey began from Assam on 4 September 2017. It passed through Jharkhand and Karnataka before regathering at Tilak Vihar in Delhi one week later. The second phase of the Karwan involved all participants travelling together in a bus that started out from Delhi and moved on to western Uttar Pradesh (UP), Haryana, Rajasthan and Gujarat. Entirely crowd-funded and with an exceptional group of volunteers—writers, journalists, social workers, teachers, lawyers—we intersected India from east to west over the span of a month. Late every night, I wrote an update before trying to catch a few hours of sleep. The first part of this volume brings together and builds on those updates. In each state, the members of the Karwan offered atonement and solidarity to the families of the victims, and tried to assess how they were coping and what they needed for livelihood, psycho-social care and the pursuit of justice. We also held public peace and reconciliation meetings—Aman Sabhas. Across India, Dalits are viciously attacked by upper-caste neighbours seeking to crush any and all signs of assertion. Single women, branded as witches, remain vulnerable to incredible, medieval cruelty by families and neighbours. Christians in tribal regions are subjugated by violence that targets their priests, nuns and places of worship, and by laws that criminalise religious conversions. But the foremost targets of hate violence by lynching and police killings are Muslims. Against Muslims, the weapon of choice is public lynching. The lynching of African Americans in the US used to be public spectacle, spurred by religious fervour and watched by white families over picnics. In today’s India, lynchings are videographed public performances. The attackers themselves catch most lynch attacks on mobile phone cameras. Images ofthe victims, humiliated, cringing, begging for their lives, are put up on social media. These lynching videos are widely and avidly shared among young Hindutva activists—as evidence of their valour, as proof of their immunity from state action, as public exhibition of the humiliation of the communities they consider their enemies, and to draft new recruits into militant Hindu-supremacist organisations. Our consistent finding was that families hit by hate violence were bereft of protection and justice from the state. In the case of almost all the fifty-odd families we met during our travels through eight states, the police had registered criminal charges against the victims, treating the accused with kid gloves, leaving their bail applications unopposed, or erasing their crimes altogether. A lynch mob, for instance, attacks a vehicle transporting cattle, killing some of the transporters. The police register criminal cases of illegal cow-smuggling, animal cruelty and rash driving against the victims. They obliterate the fact that the men were lynched. In other cases, they mention anonymous mobs that are never caught. The families of people attacked by lynch mobs sometimes do not even file complaints with the police because they fear that far from giving them justice, the police will register criminal charges against them. More worrying by far was our finding that the police had increasingly taken on the work of lynch mobs. There were tens of instances of the police executing Muslim men, alleging that they were cattle smugglers or dangerous criminals, often claiming that they had fired at the police. Unlike mob lynching, murderous extrajudicial action has barely registered on the national conscience. It is as though majoritarian public opinion first outsourced its hate violence to lynch mobs, and lynch mobs in BJP-ruled states like UP, Haryana and Rajasthan are now outsourcing it onwards to the police. Most troubling of all, we found in all these local communities a profound and pervasive absence of compassion. They constructed high walls between what they saw as ‘Hindu suffering’, which moved them, troubled them and enraged them, and ‘Muslim suffering’ which somehow was deserved, or at least inevitable. Equal-opportunity critic and passionate about cinema, politics and food, not necessarily in that order. He writes, when the urge to tell a story overpowers everything else.